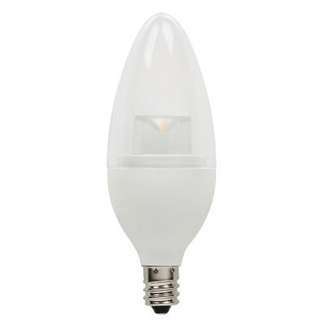 This LED bulb can be used to comply with 2016 Title 24, high efficacy LED light source requirements. It reduces energy consumption and costs, and features a CRI of 90, ideal for applications where color fidelity is important. 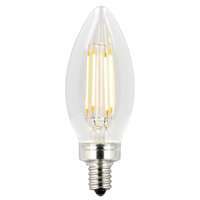 This energy-saving replacement is perfect for chandeliers, ceiling fan lights and sconces, providing the same warm ambiance of a traditional incandescent torpedo light bulb. 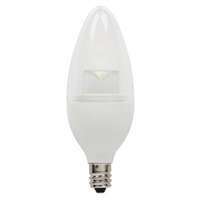 Suitable for use in enclosed fixtures and damp locations such as outdoor rated wall, ceiling and post lanterns.